This is the corner of Main & Main. 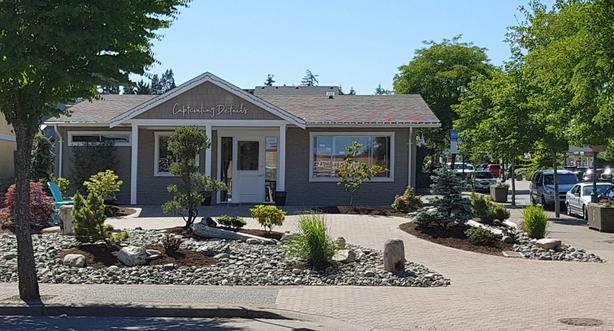 It would be difficult to acquire a more prominent, commercially zoned property in all of Qualicum Beach, on Vancouver Island. This extensively renovated and professionally landscaped property beckons customers with its winding cobblestone path to the front door, below a newly constructed portico. The bright, airy interior is created by the presence of large windows throughout the common area and office space/boardroom. Its Commercial 1 zoning allows mixed commercial/residential development. The property also boasts a private parking lot plus lots of free on-street parking. The 1405 sqft. Building sits on a 6000 sqft corner lot in the heart of the action. Restaurant? Retail? Professional Office? This is where it needs to be.